Machu Picchu’s (MP’s) story is enticing precisely because it’s a mystery. It’s also beautiful, set atop the mountains with hiking trails nearby. But honestly, it’s a contender for Peru’s version of Disney World. 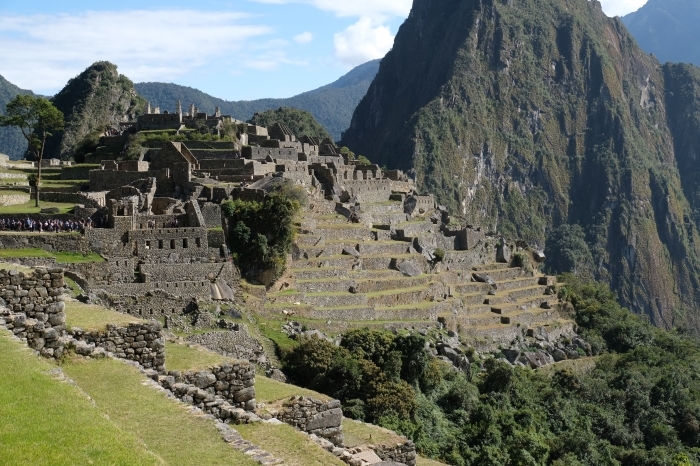 There’s so much more to the Inca Lands than Machu Picchu. The entire Sacred Valley (Valle Sagrado de los Incas) is just as awesome, in the literal sense of the world. From the ruins at Pisac and Urubamba, to the town of Ollantaytambo itself, there’s so much more that’s totally worth checking out. To me, they were all of the beauty and none of the hype. The Inca culture is everywhere, not just at MP or Aguas Calientes. I’d highly recommend doing a tour of the Sacred Valley, or renting a motorcycle and driving it on your own. Aguas Calientes and MP itself are covered with hotels and buses. You’ll need transport to hike up to the summit; you’ll need transport to get back down (unless you want to be covered in dust from vehicles). And once you’re in the town below, it’s just covered with places that cater to tourists and encourage the hype of the place being more mystical than I think it really is. And check out these pictures of the flooding back in 2010. If anything, this shows just how much the settlement itself is designed to require tourists to stay overnight on their pilgrimage to MP. I don’t think this town is at all worth stopping in, because it’s barely a town and more of a tourist attraction in its own right. Lima and Cusco are gorgeous places, and easy to access. But from Ollantaytambo onward, you’re required to take a train to Aguas Calientes. It’s pretty clear there’s a way to drive, but they make it as difficult as possible. Why do they make this so difficult? How did they get giant coaches there? It feels like the train situation is a bit of a tourist trap, and we should be able to drive (or take the train to the top — surely that would be an option?) I realize how little development this part of the world truly has, but I don’t understand why they’ve made it so difficult. Given the circumstances, I’d recommend hiking one of the trails instead. Check out Llama Path, who I’d recommend highly. The Inca Trail lets you avoid some of these traps and get to Machu Picchu the old fashioned way — with your legs!